The 2017 Arizona Opioid Emergency Response Report is out today, and while significant progress has been made, there is still work to do towards reducing opioid deaths in Arizona. 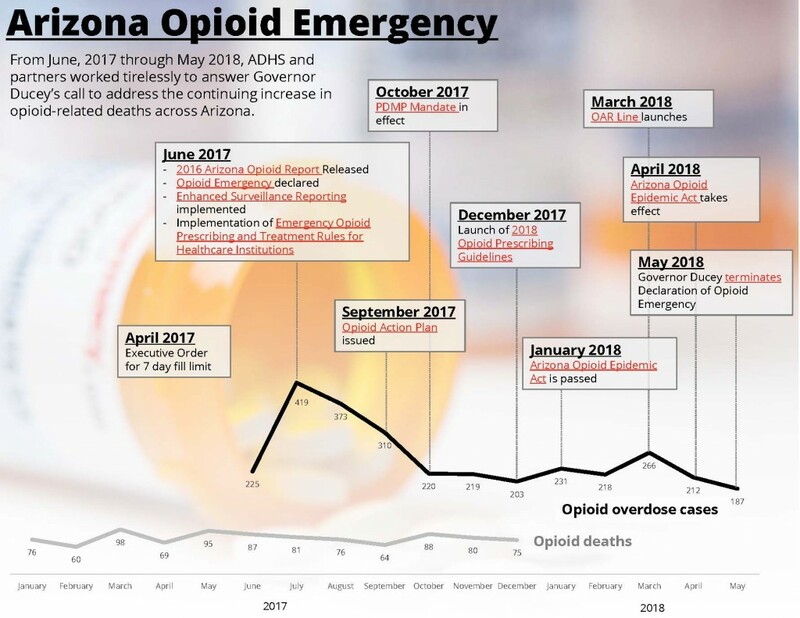 This report highlights the emergency response actions taken over the past year since Governor Ducey issued his public health emergency declaration in response to the data in our 2016 Arizona Opioid Report. It provides data from two sources: the new real-time opioid surveillance system of suspected cases and the 2017 confirmed deaths and hospital discharge information. The number of heroin deaths accounted for 36 percent of these deaths. Opioid deaths among men have historically been higher than women, and are continuing to increase at a faster rate. These numbers are alarming, but not unexpected. As the Arizona Opioid Epidemic Act and our emergency response actions are implemented, we expect to see positive trends in the effort to combat opioid related deaths. The percent of patients receiving referrals to behavioral health or substance abuse treatment services after an overdose has increased from 45% in June 2017 to 73% in May 2018. The number of naloxone prescriptions dispensed by pharmacists has more than tripled in recent months. July – September 2017, fewer than 900 naloxone kits were dispensed each month. In May 2018, 3,498 kits were dispensed to the public. The number of opioid prescriptions filled declined 40% between June 2017 and June 2018. The number of opioid pills dispensed decreased 43% between June 2017 and June 2018. The 4 & 4 report is a list of patients who have obtained controlled medications from 4 different doctors and 4 different pharmacies in a given month. The Arizona Board of Pharmacy sends any prescriber with a patient on the 4 & 4 report an unsolicited letter to alert the prescriber of the patient’s possible doctor and pharmacy shopping. There has been a 62% decline in the number of patients on this report – from 99 in July 2017 to 38 in June 2018. ADHS will be launching a chronic pain program and campaign promoting options for pain management and self-management strategies. The Governor’s Office of Youth, Faith, and Family and ADHS is producing a new youth prevention campaign for the fall of 2018. Arizona will license pain management clinics starting January 2019. The new Opioid Assistance + Referral Line for Arizona Providers is available for health care clinicians to call for free consultation on patients with complex pain or opioid use disorder, as well as to provide consultations required for patients that need to exceed a dosage of 90MME. The hotline will be expanded in the future to provide information and referrals to the public. 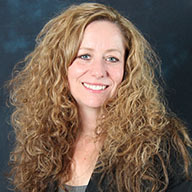 Arizona health professional schools will begin implementing components of the new pain and addiction curriculum. ADHS will continue monitoring opioid surveillance data. State agencies will apply for new federal funding opportunities to address the opioid crisis as they become available. Identify and implement new strategies to address the crisis. Today’s opioid crisis began building more than a decade ago, and will take time to shift the trend and see fewer Arizonans tragically impacted. With significant policy changes and many other interventions just going into effect in 2018 and 2019, we expect to see more positive outcomes occurring in the next few years. While the formal emergency declaration has ended, the work across Arizona to prevent opioid addiction and overdoses continues with an unrelenting commitment to save lives.